A Blog Curated & Written by uAlberta Human Geography & Planning Students. Emphasizing and exploring innovative approaches and ideas surrounding human's relationship with space. Christopher Nolan’s film “Dunkirk” is a dramatic and emotional depiction of the evacuation effort of allied soldiers from France and the British Empire during the Battle of France in World War II. Unfortunately, this article is not a discussion of the film and its cinematography, although it’s certainly a worthy discussion. Instead, we are interested in how Dunkirk is depicted today: as a northern French coastal city of over 200,000 residents nestled between the Belgian border, the Normandy area, and a short drive to Paris. Dunkirk is a spectacle of its own and will be praised several paragraphs from now for its political ambition and audacious transportation planning. However, it did not become a spectacle overnight. Dunkirk had both an aging and shrinking population, threatening its position as an attractive destination to pursue a career and raise a family. Dunkirk, primarily a municipality centred around steel and oil refining, began as a fishing village in the tenth century. Its harbour and complementary industrial services are the third largest in France and generate frequent economic activity. The city also stands alone as a tourist attraction, attracting recent moviegoers of the blockbuster film, along with penchants for historic yearning who are familiar with World War II history pre-Christopher Nolan era. 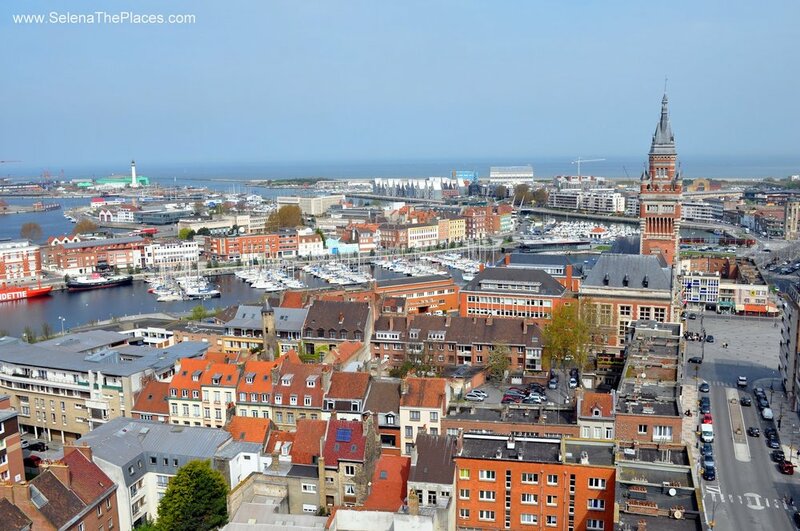 Definitely, the tourist draw is centred on the historic harbour, however, it’s worthy to note that Dunkirk’s two UNESCO Heritage Sites (its townhall and the Saint-Éloi church) also serve as a draw. Now, this personae as a tourist-friendly city has been recent. In fact, the first UNESCO Heritage designation, for the Saint-Éloi church, was achieved in 2004, and tourist numbers have only been impressive in the last half-decade. The population shrinkage and subsequent stagnation commenced in the 1980s. As the population was stagnating, the cities demographics were inevitably ageing, and young families were becoming a rare occurrence. Another rare occurrence was public transportation usage. North American’s seem to hold an idea that all Europeans cities, of any size and growth pattern, have phenomenal public transportation and ridership. Let’s dismiss this idea. Up until 2015, Public transportation only represented 5 percent of total trips in Dunkirk, and biking representing 1 percent of total trips. This figure is easily surpassed in Edmonton. This was until one Mayor was determined to raise public transportation ridership, and wage a campaign against Dunkirk’s dangerous population stagnation, enter Mayor Patrice Vergriete. His vision for the city was to make public transportation free. In an interview with CityLab, Vergriete explains that a well-utilized public transportation system will attract and retain families, young professionals and seniors, and the purchasing power of residents will exponentially grow. Upon the introduction of free weekend service in 2015, the ambitious decision was met with mass scepticism that was unwilling to accept that a free public transportation system could sustain itself. This would be proved wrong. The free weekend service saw “the ridership increased to 30% on Saturdays and 80% on Sundays” shortly after its introduction according to a CityLab article by Laura Bliss. Introduced through increments, the entire service throughout the week will become free as of Fall 2018. Dunkirk’s population now is on the rise, and passengers using public transportation have increased, setting forth a mode shift away from the car. Dunkirk will go on to become the most populated city in France to offer this service. All of this was achieved through a regional business tax increase originally set in motion to fund a new, and potentially wasteful sports stadium. With a change in leadership came a shift in political priorities. The regional business tax now funds the public transportation system and has gone on to fund its expansion to the network. The business owners being dealt the tax have had continued support as it seems the tax pays for itself. Greater overall ridership and ridership diversification will stimulate the local economy. It is important to note that Dunkirk’s farebox recovery ratio (the fraction of operating expenses which are met by the fares paid by passengers) pre-2015 was very low at 10%. Removing fares would not make a noticeable difference to the operating budget, as the fares only covered a fraction of the operating expenses for the public transportation system, to begin with. Certainly, Dunkirk must be praised for its transportation model and political will. According to Jennifer Keesmaat, the former Chief Planner for Toronto, the average household in North America spends $5235 annually on vehicle ownership, insurance and maintenance costs. Of course, this does not include the costs born to cities such as pollution, traffic congestion and roadway maintenance that private automobile-dominance has created. 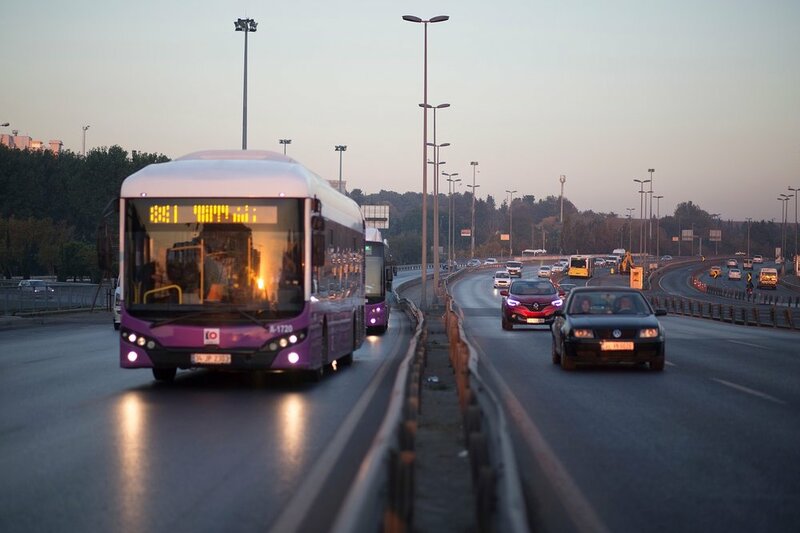 As I would like to provide a more reflective number for France, there is certainty that long-term transit riders in Dunkirk familiar with the 1.40 euro ticket cost (in other words, individuals dependent upon its service and without car ownership) will have saved 600 euros a year. This is not only a step that’s providing families and residents with a cheap option to access their city, but it’s a step towards a more sustainable city. Website for the Geography and Planning Students' Society, a student group that provides academic, professional, and social support to Human Geography and Planning students at the University of Alberta.